The Brighter Side YYC: Home Alone - Safely! The time has finally come. Your child wants to stay home alone. Are they ready? Are you ready? There are many reasons that lead us to the home alone stage. For some children, the chance to take on this responsibility doesn't come soon enough. Sometimes, it's Mom or Dad who are relieved at the idea of letting after-school care go. According to parent educator Ginger Wilson, “By the age of 10 or 11, most children can handle the responsibility of being left alone for short periods of time. However some simply lack the maturity to manage the challenge. As a parent, you need to determine when is the best time to add on this responsibility." But, before you even consider this new stage, both parents and children need some new skills to meet the challenge. How well does your child adapt to new situations? Do they feel safe being alone? Do they have any fears or concerns? 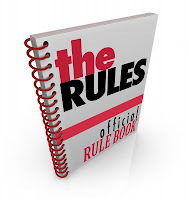 Does your child follow your household rules? Can they reach you or another responsible adult by phone? Can they have friends over? Do you need homework or chores done? Remember clearly communicating your expectations is the key to success. The phone rings and the person insists he needs to talk with Mom or Dad? A stranger knocks on the door? You hear a scary noise? The smoke detector goes off? You call Mom with a problem and the line is busy? You call Dad and he is out of the office for the afternoon? This game has two purposes: The first is to test your child's problem-solving skills and the second is to teach your child the ins and outs of staying home alone. Play this game casually while you're traveling in the car, eating breakfast or doing the dishes. The list of "What would you do if" questions is endless, so be creative as you and your child play. If your child can tackle these and other similar situations successfully, it's likely he can handle the responsibility of being home alone safely. "But remember," says Ginger, “success also depends on how long a child is by himself." An hour goes by quickly; three hours is a long time for even the most confident and qualified preadolescent to be alone. For more information please visit www.calgaryschild.com.